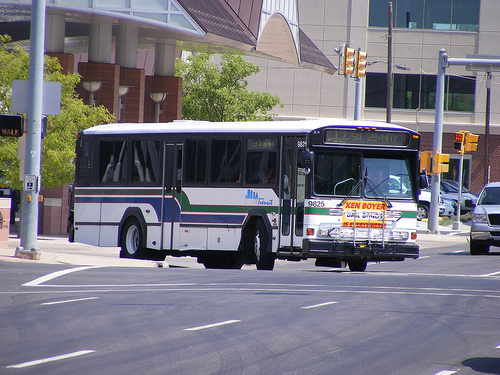 Beginning Aug. 1, students who travel to and from OCCC or anywhere in the city using the Metro Transit bus system must pay a quarter extra per trip, said Megan Mitchener, Metro Transit marketing coordinator. Mitchener said the change will bring one-way bus fares to $1.50. In addition, she said, Metro Transit will also offer two new passes: a daily pass for $4 and a weekly pass for $14. These new passes will replace Metro Transit’s previous transfer ticket system, Mitchener said, which allowed passengers to take either a certain number of pre-purchased trips or unlimited trips within a set period of time. The daily pass is good for 24 hours after its activation, Mitchener said. Similarly, the weekly pass is good for seven days after it is activated. She said passes can be purchased aboard buses, at the Downtown Transit Center in Oklahoma City or at some Buy for Less grocery stores. For more information, e-mail Mitchener at megan.mitchener@okc.gov or visit www.gometro.org.